I am a Floridian, born and raised and my love for fishing is second to none. 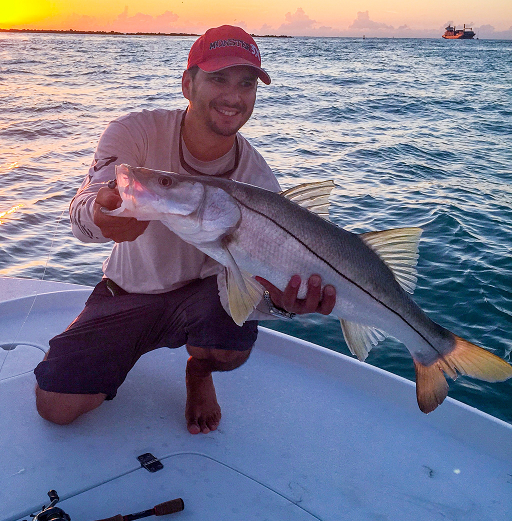 I am truly a Jack of all trades when it comes to South Florida fishing. From freshwater fishing the canals and lakes for Peacock and Largmouth Bass to the inshore fishing of Biscayne Bay, Florida Bay and Flamingo Bay. My favorite species to catch is the Snook but I don't discriminate the Tarpon, Redfish, and Permit. I also enjoy riding out to the reef and catching Snapper, Mackerel and Barracuda with some Sharks in between. Its always a good day fishing because in the "Fishing Capital of the World" you always catch fish. Licensed and Insured, call me for charters. I run a 2017 26' Barker Bay Boat and a 2003 Hells Bay skiff.